Product prices and availability are accurate as of 2019-04-04 18:47:33 EDT and are subject to change. Any price and availability information displayed on http://www.amazon.com/ at the time of purchase will apply to the purchase of this product. 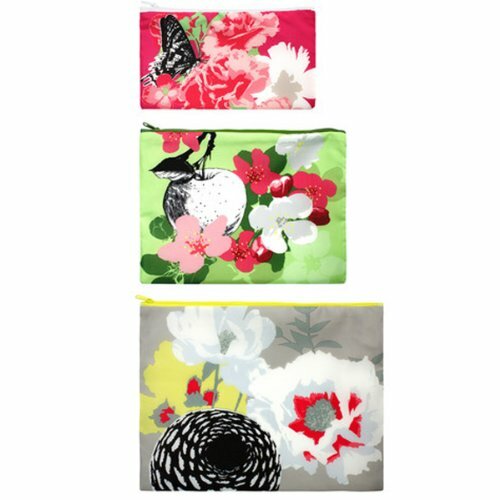 Tote spring around summer, fall, and winter with these Prima Zip Pockets. LOQI Zip Pockets come in a set of three pockets in different sizes. The perfect travel accessory to take with you on your adventures. You can store the following in the pockets: cosmetics, hygienic accessories such as toothbrush and soap, socks and undergarments, passport, camera, cell-phone, electronic wires, wallet, keys, and much more. 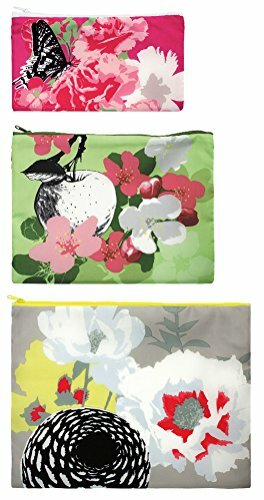 The pockets are water resistant (will not fade), reusable, and a great replacement for plastic bags. Great for storing: cosmetics, hygienic accessories, socks and undergarments, passport, camera, cell-phone, electronic wires, wallet, and keys. Set of 3 pockets. Dimensions: Small, 5 x 9 inches; medium, 8 x 11 inches; large, 10 x 13 inches. Material: Polyester. Washing Instructions: Machine wash in cold water.